Opportunity comes into your business from a variety of ways, depending on your level of integration these mediums be it email, phone or the web can be logged automatically into your CRM. 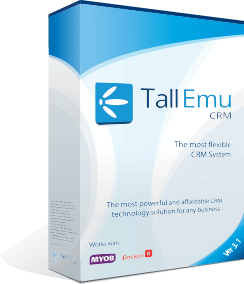 Regardless of your business managing your opportunities is made easy in Tall Emu CRM. All the relevant data about an opportunity can logged into CRM, it can be assigned, given a value, a probability and much more. In addition, where the opportunity came from and the tasks or communication with the opportunity can be recorded in one single central point for all to see. Along with our Sales Force Automation and Pipeline Reporting capabilities you’ll be on top of your opportunities at all times.